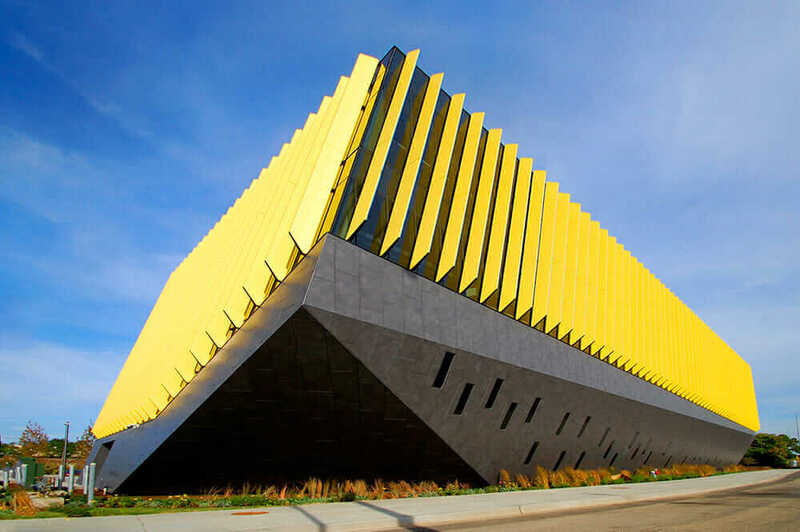 El Centro building for Northeastern Illinois University in Chicago, Illinois. Courtesy JGMA. 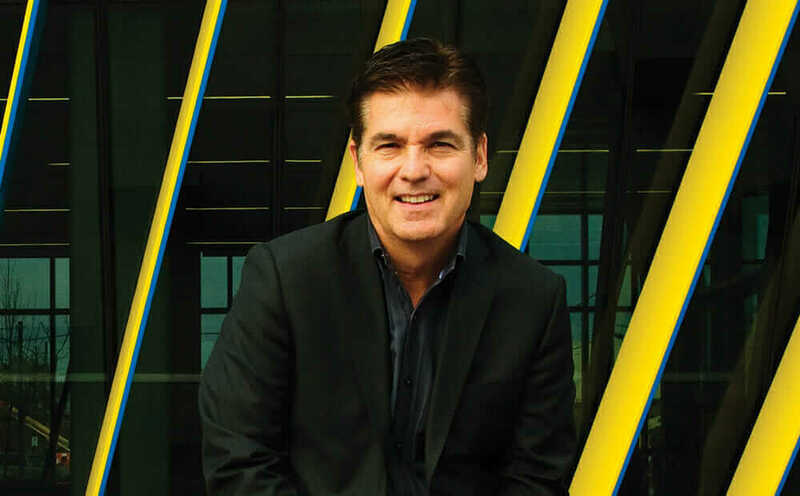 Juan Moreno’s eponymous Chicago architecture firm brings design to neighborhoods and communities that don’t normally see much infrastructural investment, let alone aesthetically exciting architecture. 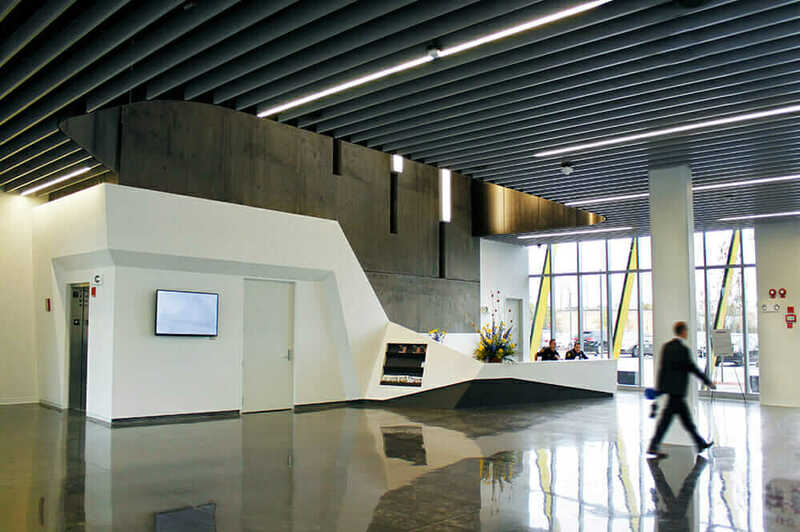 Working largely with Chicago’s Hispanic community, Juan Gabriel Moreno Architects (JGMA) offers more than design to underserved communities. The firm fosters the most important asset in a sustainable future—kids. 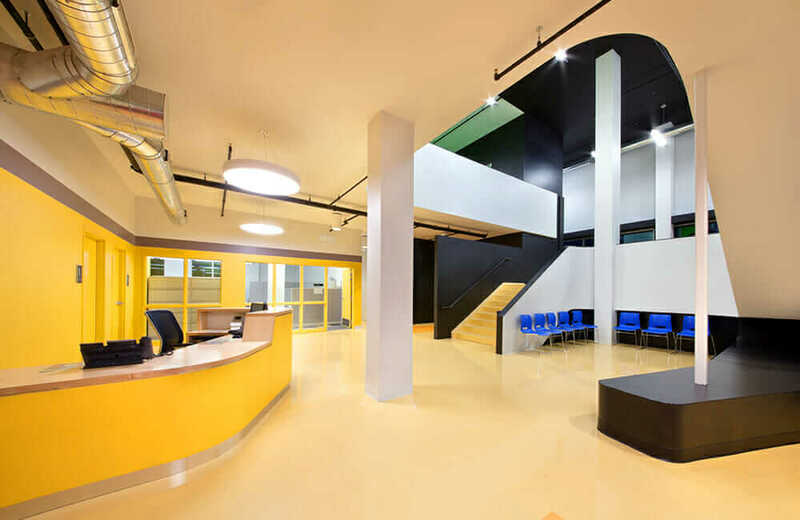 Moreno designs schools, made with a contemporary sense of digital acuity and form, for clients of modest means. 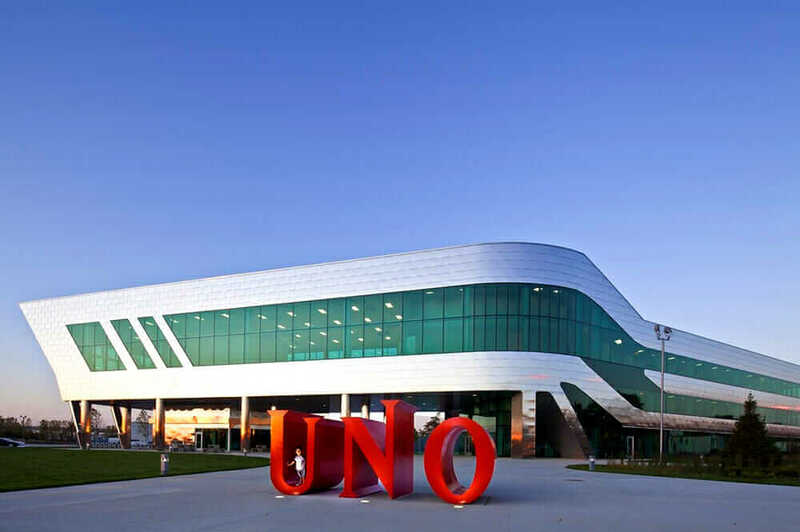 His UNO Soccer Academy charter school is a composition of glass and stainless steel woven into sharp angles and flowing curves. 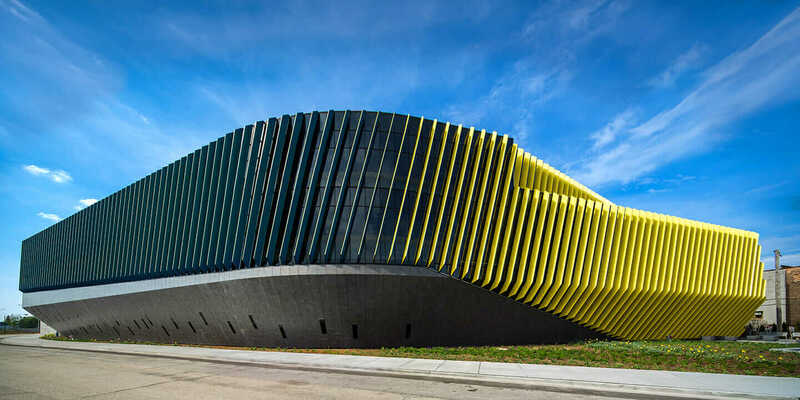 JGMA’s El Centro building for Northeastern Illinois University is a coiled, cantilevered glass python, studded with brilliant yellow and blue louvers. 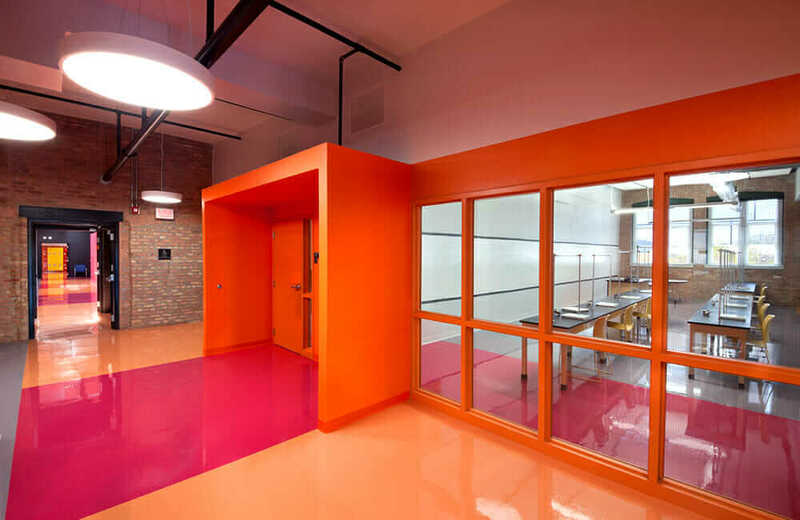 And the Instituto Health Sciences Career Academy charter school converts a disused warehouse with a bright, dynamic graphic treatment that carries its founding institution’s tradition of adaptive reuse into a new era. Juan Moreno in front of the El Centro building. JGMA does energy, water, and carbon-emission analyses with Autodesk Ecotect Analysis (now in Revit), and uses AutoCAD and 3ds Max in the design process. Courtesy Brian Morowczynski. 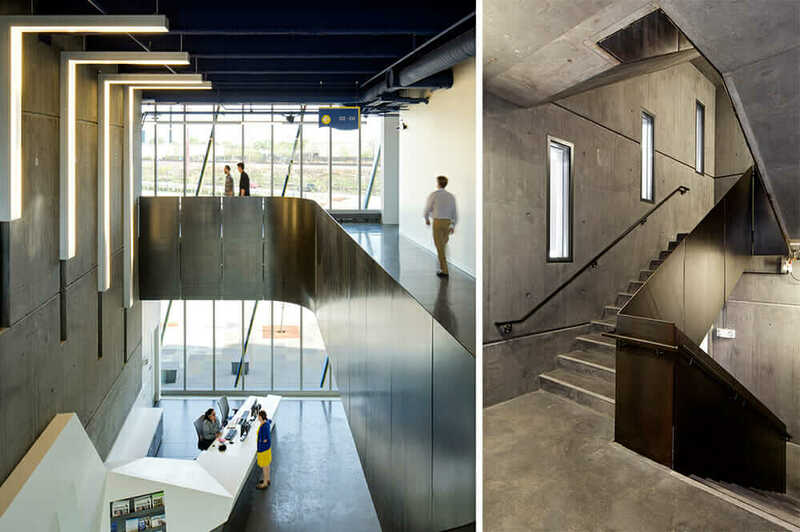 Though these communities and clients are often underserved, JGMA doesn’t operate under the assumption that only the well-heeled appreciate progressive design, while everyone else prefers unimaginative red brick. If you ask Moreno, progressive design on a budget is about communication, education, and resourcefulness. “Don’t underestimate what these clients deserve,” Moreno says. “There’s a willingness to explore new ideas. The clients I work with have such conviction for what they’re trying to do. The ideas of the architecture and their conviction create a perfect storm.” Many of Moreno’s clients have never worked with an architect before, but that doesn’t mean he’ll forgo 21st-century materials, methods, and forms. 1. Meet Clients on Their Own Terms. From the outset, the way you communicate with clients unfamiliar with architecture will set the parameters for what can be built. In a corporate boardroom, you might not feel comfortable basing a client pitch on your own biography, but for smaller, less technocratic community-based groups, personal identity can be a point of connection. 2. Don’t Condescend; Educate. When clients are unfamiliar with design, there’s a need to define terms at a basic level—simply explaining what architecture entails. But once you’ve crossed that threshold, it’s time to drop preconceptions of what any particular socioeconomic or demographic group might want. Learn how STEM in underserved areas pays off. When working with minority communities, there’s a tendency for some architects to fall back on knee-jerk cultural tropes—that is, for a Mexican community, this might mean integrating tired clichés such as Mayan terraced pyramids. A better approach, Moreno says, is to use more abstract references to cultural traditions. For him, that means using lots of bright colors in his projects, a reference to Latin American design traditions that sidesteps more literal allusions. Mexican architect and Pritzker Prize Laureate Luis Barragán made bright colors an indispensable part of his design language. But graphic color treatments in architecture are still often little-loved stepchildren compared to material-based visual elements. 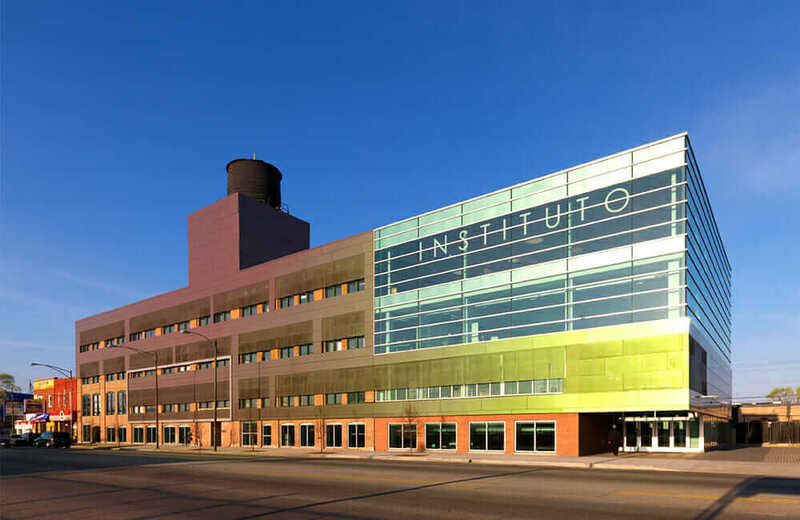 Instituto Health Sciences Career Academy charter school in Chicago, Illinois. Courtesy JGMA. 3. Know What—and Where and When—to Cut. The cheapest way to build is seldom the most interesting way. This means designers like Moreno—who place a premium on delivering adventurous design to all clients—have to make sacrifices. The key is making compromises that detract the least from the project’s goals. 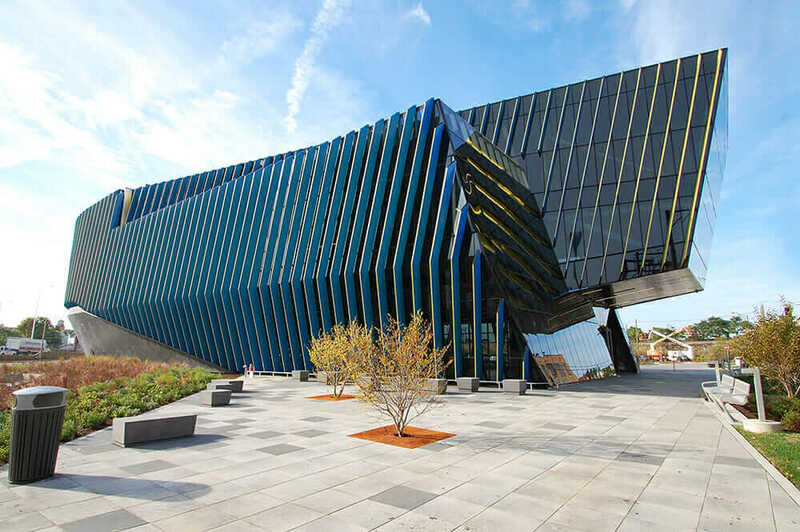 For the $22 million El Centro, Moreno spent more on the building’s exterior because its prominent location near I-90 means it will likely be the first notable piece of architecture visitors coming from Chicago’s O’Hare Airport will see. 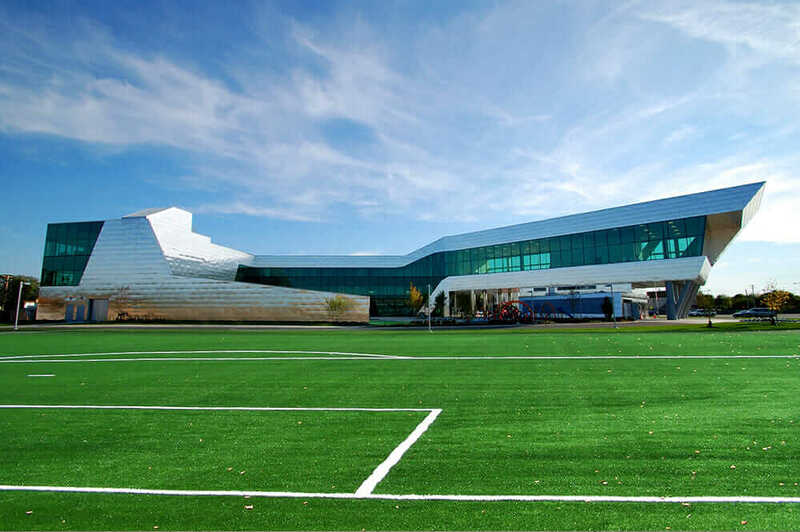 At UNO Soccer Academy, which had a total budget of $27 million, the stainless steel exterior was a purely economical choice. The fastening method used to attach each panel—a simple clip system found in HVAC ductwork—required little skilled labor. And at the time of construction, stainless steel was the cheapest feasible material. If construction had been delayed a matter of months, the exterior could have been completely different. “That exterior was an investigation of what materials are cost effective at this moment in time,” Moreno says. 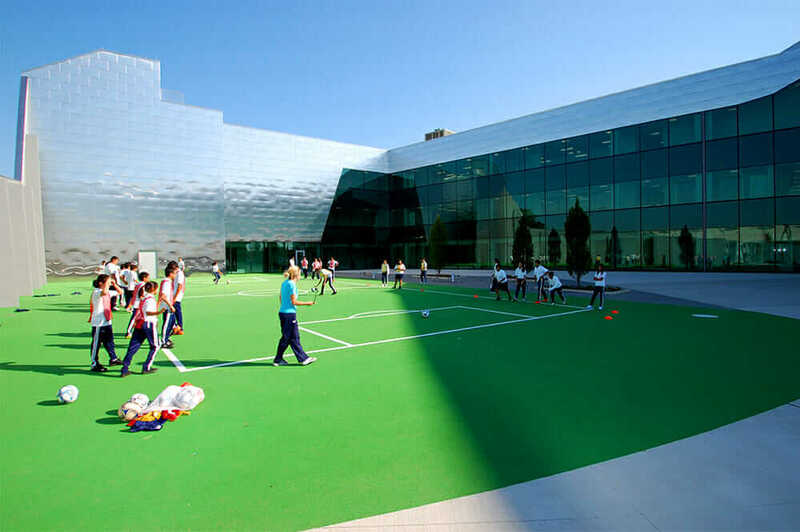 UNO Elementary School Soccer Academy in Chicago, Illinois. Courtesy JGMA. 4. Reuse What You Can. A key factor that made the Instituto school inexpensive was the reuse of an existing brick warehouse. The value of remediating this century-old piece of neighborhood infrastructure was clear to Moreno, but his clients required some coaxing. But Moreno brought them around by explaining that a reused building could fill a gap in the heart of Instituto’s community. “There are open land opportunities in the fringes of other areas, but they’re not at the core where the school is needed,” Moreno says. 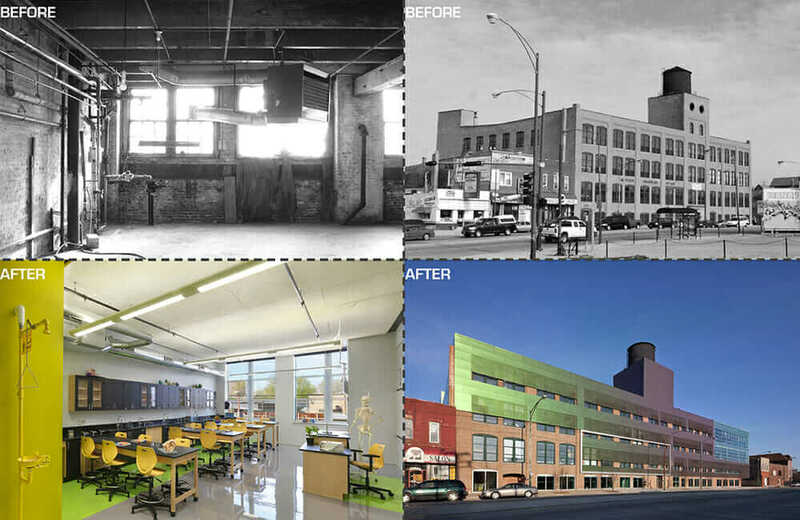 The new school would be a link to the organization’s past, continuing its legacy as a creative adaptation of existing resources. And this time, it would be completed with a level of sophistication that would make it a standout design case study for the entire city. 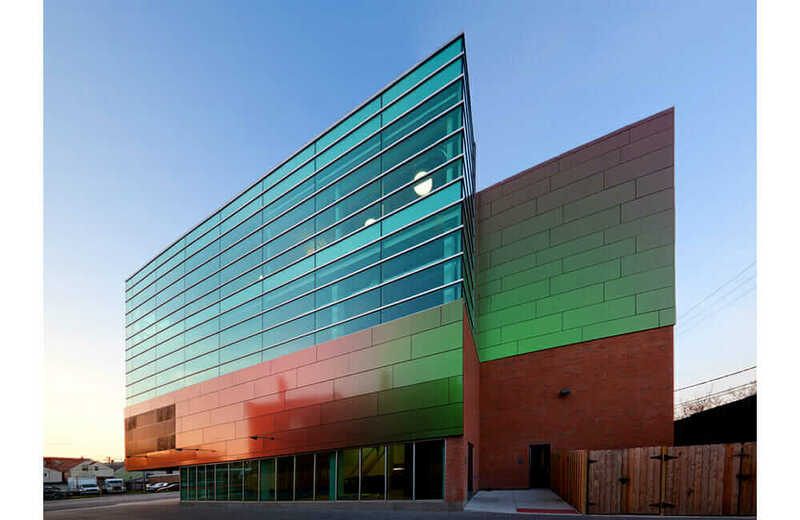 The completed building remains scaled to the neighborhood, continuing the block’s red-brick texture and contrasting it to a sharp and chromatic brightness. 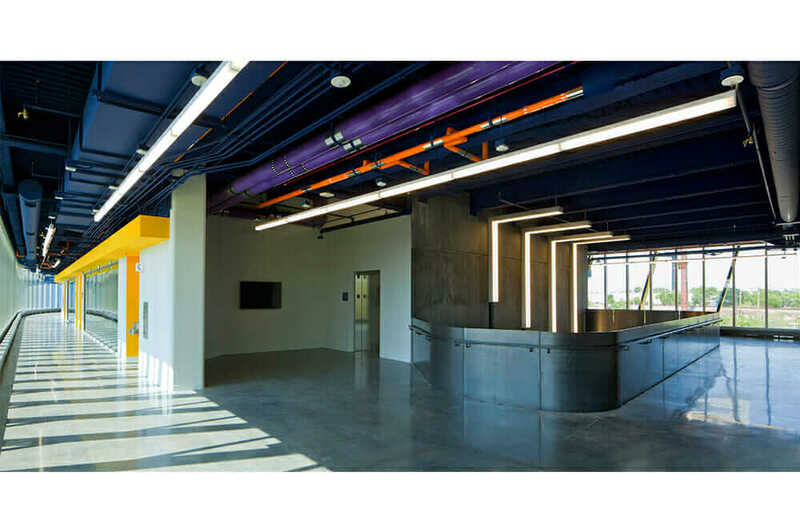 The structure supporting the warehouse water tower becomes a testament to Instituto’s 30-year history in the neighborhood—and a beacon toward its future.